Social media sourcing involves using social networks to identify, attract, engage and hire potential candidates. Recruiters use social media sourcing to build talent pipelines for future roles and engage passive candidates who haven’t applied for current openings. What are the most popular social media networks for recruiters? What are the most popular social media networks among job-seekers? What are some compelling social media recruiting statistics? What percentage of companies are using social media for recruitment? What are the advantages to using social media for recruitment? What are the disadvantages of social media recruitment? What are the benefits of using social media to post and advertise jobs? How should companies get started using social media for recruiting? Are there legal issues to consider when using social media for recruiting? What social media networks are most effective for recruiting? How can I use LinkedIn to find candidates? How do you build a social media sourcing strategy on LinkedIn? What are some social media sourcing mistakes recruiters make on LinkedIn? What are some benefits of using LinkedIn to recruit candidates? How can I use Facebook to find candidates? How do you build a social media sourcing strategy on Facebook? What are some social media sourcing mistakes recruiters make on Facebook? What are some benefits of using Facebook to recruit candidates? How can I use Twitter to find candidates? How do you build a social media sourcing strategy on Twitter? What are some social media sourcing mistakes recruiters make on Twitter? What are some underused social recruiting sites? How can I use some underused social recruiting sites in my social media sourcing strategy? What are the keys to a successful social media recruiting strategy? How does employer brand help social recruiting? What are some of the best social media recruitment tools? What are the best social media sourcing strategies? What are some examples of the best social media recruitment campaigns? What are the most common social media sourcing mistakes? Should I use social networks to advertise job openings? Who should create a social media recruiting strategy within an organization? At what stage of the recruitment and hiring process should recruiters use social media? How can recruiters use social networks to screen candidates? Where can I find training courses for recruiting with social media? Where can I find presentations or conferences on social media recruiting? LinkedIn, Facebook and Twitter are the most popular social networks for recruiters. Google+, YouTube, Instagram and Pinterest are runner-ups, but are still strong niche recruiting options. LinkedIn: 92% have hired at least once through LinkedIn. Facebook: 24% have hired at least once through Facebook. Twitter: 14% have hired at least once through Twitter. Recruiters prefer LinkedIn, job seekers prefer Facebook: Recruiters are more active on LinkedIn (94%) than job seekers (36%), while the opposite is true for Facebook, with 65% of active recruiters and 83% of active job seekers. Facebook: 79% of people online are active Facebook users, despite age and gender. Instagram: 32% of people online are active Instagram users. Twitter: 24% of people online are active Twitter users. and 13% say information they posted on their social profiles helped them get a job. Build employer brand: 77% aim to boost their employer brand and recognition. Save money: 55% found social recruiting to be less expensive than other recruiting methods. Source candidates by location: 51% use social networks to recruit candidates in specific areas. About nine out of 10 companies use it to post their job ads on social networks. Three out of four companies use it to communicate with potential candidates and source passive candidates and active candidates. More than half of the companies encourage employee referrals through social platforms. Lack of time. The same percentage of companies (46%) claim that HR staff don’t have enough time to use social media for recruiting in addition to other recruitment methods. Lack of knowledge. Just under one out of five companies (18%) indicated lack of knowledge and skills as reasons for why HR staff don’t use social media for recruiting. Most companies (84%) use social media to recruit candidates, according to a 2015 study by the Society for Human Resources (SHRM). 81% indicate it’s one of their many recruiting tools. 5% say it’s their primary recruiting method. 9% plan to use social media recruiting methods in the future. 5% never plan to incorporate a social media recruiting strategy to their hiring process. 2% claim to have used social recruiting in the past but don’t plan to use it in the future. Increases job visibility. When you only advertise your jobs on job boards and your careers page, you limit your outreach to people who are actively searching on these channels. Jobs ads on social media have greater reach because they’re visible to a larger audience that may include passive candidates. Lets you advertise your jobs to your audience. Instead of casting a wide net, you can narrow down your search – and potentially your costs – by going where your desired audiences are with targeted job ads. For example, Facebook’s paid ads help you find candidates by location, and LinkedIn’s sponsored ads help you get in front of candidates with the skills you’re looking for. Improves employer branding. Social media gives you the tools to promote your company culture and showcase your current employees. Give candidates a glimpse of what it’s like to work for your team. Good brands prompt more candidates to apply for open roles. Helps you connect with passive candidates. People who aren’t actively looking for a new job opportunity are can learn about your open roles if you approach them on social networks. Its content is ephemeral. Social media broadcasts what’s “happening now,” which means your posts have a short shelf-life. To be at the top of potential candidates’ newsfeeds, frequently update your status and take advantage of current social media trends. It requires thorough sourcing. Not all the content you find on social profiles will apply to your job. If you’re using social sourcing to screen candidates, dig deeper than first results to find useful information relevant to your open roles. It’s time-consuming. To use social networks for recruitment, you have to invest time to network and build relationships with potential candidates before contacting them for a job opportunity. It comes with legal risks. Social profiles give you access to information unrelated to the candidate’s professional background (e.g. race or marital status) and may create unconscious bias during the hiring process. Evaluate only job-related information when you’re screening candidates on social networks. It’s not always well-received by candidates. Though candidates may expect a recruiting email for a job opportunity, they may be caught off-guard by messages on social networks. Refrain from being intrusive when you personalize your messages to passive candidates. You reach diverse audiences. Social media demographics prove that people of different ages, nationalities and backgrounds are active on social networks. Recruiters can reach out to them by building effective social media sourcing and recruiting strategies. You reduce time-to-fill. By using more job advertising channels for your open roles, you increase your chances of finding qualified candidates faster. You make it easy for employees to refer candidates. Companies can benefit from the various posting and sharing options that social media sites offer. Current employees can share job openings with friends or simply post job ads on their personal feeds to increase visibility. You can get creative with job posts. Social media job posts don’t have to be traditional job descriptions. Include pictures and videos of your workspace, write engaging text to describe the position and add a humorous touch, if it suits your brand. You decrease recruiting costs. Setting up social media accounts and posting your job openings costs less than traditional recruiting, and it allows you to inform people from your professional circle and beyond about open roles at your company. Learn where your hires come from. This includes tracking your sources of hire. Ask your current employees for tips: Are they members in any professional groups? (e.g. on Facebook or LinkedIn) Use this information to help inform your social sourcing strategy. Figure out what each platform offers. To get the most out of your social media efforts, become an active member of these platforms yourself. Join groups relevant to your industry, start discussions with members and explore social media features. Study successful companies that use social media. Although what works for one company mightn’t for another, you’ll get some interesting ideas on how to get started from other companies. Read case studies and follow corporate accounts for inspiration. Also, from May 2018, organisations need to comply with the General Data Protection Regulation (GDPR) when sourcing EU candidates. This means that recruiters shouldn’t be looking for these candidates on non-professional social media like Facebook and they need to inform candidates when collecting their information on social media like LinkedIn. Based on the Society for Human Resources (SHRM) study (2015), almost half of the companies that choose not to use social media for recruiting did so because they are concerned about its legal and privacy issues. Be aware of (federal, state and/or country) laws. Make sure you understand and follow regulations against discrimination during the entire hiring process. For example, it’s illegal both to ask a female candidate if she plans to have children and to search her social profiles for posts that indicate a pregnancy. Also, ensure you understand and follow GDPR’s requirements when sourcing in the EU. Consult with HR professionals. HR staff are more familiar with labor legislation and can help you reach objective hiring decisions. Ask HR professionals to search online profiles and collect only job-related data. Then, have hiring managers use this data to evaluate candidates’ skills to minimize bias. Hold the hiring team accountable. From initial screening to the final decision, the hiring team should provide feedback on each candidate to the rest of the team and explain reasons for rejection or selection. This way, you’re less likely to reject a candidate based on personal criteria unrelated to the position. Create consistent sourcing procedures. Use the same sourcing methods for all candidates. Look for specific information when scanning online profiles, as you would do with resumes. Spending more time on one candidate’s Facebook page, for example, could lead to a partial hiring decision that disadvantages other candidates. Combine information from various sourcing channels. Not all job seekers use social media for professional reasons. If one candidate just posts funny cat videos on Facebook, this doesn’t make them a goofy employee. Gather information from various places and stick to job-related data to make better judgments. LinkedIn: Professionals use LinkedIn to share their career history, network, build their brand and search for new job opportunities. When recruiting on LinkedIn, use job posting and application options to speed up the hiring process. Facebook: The world’s largest social network, Facebook members are diverse in age and background. Recruiters use features like groups and paid job ads to advertise their job openings to their desired audience. Twitter: Brevity is king on Twitter, a social platform that empowers its members to share posts no greater than 140 characters. Use appropriate hashtags to inform potential candidates about job opportunities, and take advantage of Twitter lists to network with passive candidates. For EU candidates, please refer to this guidance on using social media for recruiting under the General Data Protection Regulation, or GDPR. Set up notifications. If you have roles that are always open or have longer time-to-hire, use LinkedIn to set up notifications, so that you receive emails with profiles of new qualified candidates who meet your criteria. Use Boolean in your LinkedIn searches. LinkedIn supports Boolean logic for more complex searches. Use appropriate strings to look for specific qualifications and exclude irrelevant results. For example, if you’re hiring for a Senior Sales Manager in Boston, consider this string: “sales manager” AND senior NOT(assistant OR junior) AND Boston“. Join LinkedIn groups. Beyond accessing potential candidates’ profiles, you can search and join LinkedIn groups. Post job ads in HR-related groups, where active job seekers are looking for new opportunities. And join groups relevant to the roles you’re usually hiring for to get access to their member lists. Consider a Recruiter license. With a LinkedIn Recruiter or LinkedIn Recruiter Lite plan, you can use LinkedIn’s advanced search tools to look for candidates who meet your specific criteria. You can also send more InMails to contact passive candidates. Create your company profile. Describe your company, promote your jobs and offer links to your websites or other social media pages. Encourage your current employees to update their profiles and add your company as their current workplace. Consider a Recruiter plan. Unlock more sourcing features with LinkedIn Recruiter or LinkedIn Recruiter Lite. You’ll get access to more profiles and you can send more InMails per month (150 and 30, respectively.) If you’re using Workable as your ATS, you can view candidates’ LinkedIn profile data along with InMails exchanged, all in one place. Connect with past and potential candidates. When you spot interesting profiles, send LinkedIn invitations to connect and introduce yourself. You can also use LinkedIn to stay in touch with past candidates who might be more suitable for a future job opening. Keep track of their career choices, comment on their posts and congratulate them when they make professional achievements. Post your job ads. LinkedIn offers options to help you advertise your job openings. Write compelling job descriptions and list your desired skills. Prompt candidates to “easy apply” using their LinkedIn profiles to speed up the application process. Share your job openings. People from your network – including current employees – may know someone who might be a good fit for your roles. Network by advertising your positions to employees, who might recommend your next hire. Track your analytics. LinkedIn offers analytics of your network’s demographics and the behaviors of your page’s visitors (e.g. number of clicks to your posts.) This data is useful because it helps you understand what kinds of posts and updates drive traffic to your page. Not having an engaging company page. Set up an appealing LinkedIn company page to sell your organization. Include industry-related keywords (but avoid jargon) to attract people who’d be interested in working with you. Relying on your first search results. The first search results are usually the most relevant ones, but other recruiters are likely getting the same results. To stand out from your competition, look beyond the first page and try alternative keywords to expand your options. Not personalizing your communication. 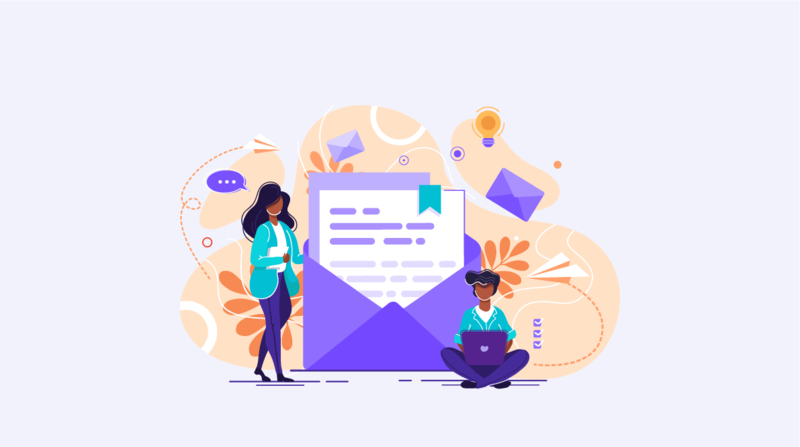 Highly-coveted candidates receive many identical templated InMails about “an amazing job opportunity.” To increase your response rates, craft an engaging subject line and personalize your message in a way that shows you did your research. Advertising instead of networking. Go beyond merely posting your job openings to build relationships with potential candidates. Invest some time (e.g. on a weekly basis) to connect with new people, join groups, comment on interesting articles and congratulate your connections for their achievements. Not viewing profiles in private mode. Checking out a LinkedIn profile multiple times might come across as stalking, unless you customize your privacy settings. It’s best to view profiles in private mode (which keeps your identity anonymous) before you decide to get in touch with someone. It’s job-focused. LinkedIn is a professional social network that caters to both job-seekers and employers, which makes it an optimal place to interact with active and passive candidates. People use LinkedIn as their virtual resume and many use it to share their achievements. Members can also either clearly state they’re seeking new job opportunities or subtly let recruiters know they’re open to being contacted. It’s recruiter-centric. LinkedIn designs features that facilitate recruiting. With LinkedIn Recruiter licenses, HR professionals gain access to greater numbers of candidate profiles and can send more direct messages (InMails) to people they’re not connected with. It’s candidate-friendly. The “Apply with LinkedIn” option under a job ad makes it easier for candidates to apply for a job at your company, as they won’t have to manually enter their career history, education and contact details. All they need is an updated LinkedIn profile. This feature speeds up the application process and improves candidate experience. It’s referral-friendly. Recruiters aren’t the only ones building strong LinkedIn networks – your current employees are, too. Ask them to share your job openings and prompt them to look through their connections to identify potential matches. They could even reach out to their connections if they think someone might be a good fit or share their connections’ contact details with you. Facebook groups. People are more willing to share their personal information online once they find themselves in more private settings, like Facebook groups. For example, if you’re looking for a Web Designer, instead of typing “Web designers who live/work in X”, search groups where designers hang out, like “graphic designers” or “UI/UX designers”. Facebook Live. This feature helps you connect with your audience in real-time without using extra apps or video editing software. Ask employees to take part in Facebook Live sessions to introduce themselves, give office tours or simply share casual moments at work to build your employer brand. Post job ads. Add job postings to your company’s Facebook page and include links to the application form on your careers page. You could also use paid job ads to attract your desired audience based on specific criteria, like location or professional interests. Share your company culture. Give candidates a glimpse of what it’s like working with you. Share pictures of your offices and company events. Keep in mind that your current employees may also be your best brand ambassadors. Encourage them to share their work experiences on Facebook, or spotlight them on your Facebook careers page. Source passive candidates. Facebook Search allows you to find candidates using filters (e.g. location or job title.) You can also browse and join relevant Facebook groups, where people with similar professional interests gather and share ideas. Network with potential candidates. Dedicate someone on your team as a page manager to respond to people’s questions. Participate in Facebook groups and interact with followers on a regular basis. You could also attract job seekers by sharing career advice and interview tips. Encourage employee referrals. Create shareable Facebook job posts your current employees can easily send to their contacts. People who know their future co-workers are more likely to apply to your open roles. Making biased judgments about candidates. People use Facebook personally and professionally, so they don’t always expect to be found (and judged) by recruiters. Evaluate only job-related information you find and avoid discriminating against potential candidates based on their personal preferences. Failing to build relationships. While Facebook is good for quick communication, it’s best to take the time to invest in long-term, trusting relationships with potential candidates and industry professionals. Engage with people online to build connections for your future hiring needs. Ignoring your brand. Candidates will research you when you reach out to them, so build an attractive corporate Facebook page. Share industry-related content, show off your workplace and reply to comments to show that you appreciate feedback and strive to improve your hiring process. It’s a large database of potential candidates. Nearly 75 percent of all adult Internet users are active on Facebook with a mix of men, women, adults between 18 and 29 and people over 65. These people use Facebook to share their professional achievements and seek new job opportunities. It’s job-posting friendly. Facebook can help you advertise your open roles. The Jobs tab feature (available in the US and Canada for now) allows you to create your job post within Facebook by simply using the status updater tool on your company page. Or, if you’re using Workable, a simple integration with your Facebook company page powers the jobs tab automatically. It helps you increase your brand awareness. Studies show that people are more trusting of companies that are active on Facebook and other social media. Having a strong web presence on the most popular social network gives you a competitive advantage and improves your employer brand – all important in attracting talented candidates. It can help you attract more diverse candidates. With its vast membership, Facebook provides the opportunity to reach candidates from all over the world. Build a diverse pipeline by recruiting candidates on Facebook. Hashtags. These increase the visibility of your posts. When posting a job ad, use appropriate hashtags (e.g. #bostonjobs and #SaaSjobs) to reach a more niche audience. Advanced Search. This feature lets you look for candidates’ profiles, using criteria like location, profession and hashtags. Use keywords relevant to your industry to find profiles that match your roles. Twitter lists. These lists are curated groups of accounts categorized by topic or interest (e.g. attendees at an industry conference.) Boolean search can also help you find Twitter lists for particular fields. Chats. These are group discussions that occur at predetermined times. Use Twitter chats to spot passive candidates who exchange interesting ideas. Consider initiating your own Twitter chat to attract more followers and get a better feel for potential candidates’ concerns. Set up your account. Choose whether you will use your company’s official Twitter account or your personal account to tweet. In any case, upload a professional picture and write a descriptive mini bio. Company accounts: If you’re using a company account, you might find it easier to attract more followers who are already familiar with your brand. Personal accounts: Personal accounts, though, may invite more interaction, as people prefer talking to other people rather than corporate accounts. Create engaging content. Good content that’s relevant and relatable will make your Twitter feed interesting and will attract followers. Tweet about current events and news, frequent status updates, links to interesting articles and retweet (RT) influential people. Also, using the “@” to mention other people will invite dialogue on the topics you’re tweeting about. Promote your employer brand. Play to Twitter’s strengths and use it to build your reputation. Showcase employees’ achievements to give you a competitive advantage and a strong employer brand. Promote your events on Twitter: for example, let your followers know you participate in job fairs and invite them to meet you there. Expand your search. Beyond attracting potential candidates to your page, go where they are. Follow conference hashtags to find Twitter users who attend industry-related events. You can also use Boolean search to identify Twitter lists with people who are interested in specific topics. Not expanding your follower base. If you’re taking your first steps into recruiting on Twitter, invest some time to build a strong network of followers. Posting a job opening on Twitter when your only followers are your current employees may not bring you many applications. Just posting job ads. Using Twitter as another job board, where you only advertise your openings, doesn’t play to its strengths. Twitter is a place where you can reach out to potential candidates before meeting them in a more formal setting, like interviews. To attract more followers, produce engaging content. Announce company news, share thoughts on industry-related topics, spotlight employees and interact with followers. Low involvement from hiring managers. Your next hire might already be following your hiring managers on Twitter. Ask hiring managers to share your job ads and provide career tips to attract a larger audience of potential candidates. LinkedIn, Facebook and Twitter might be the most popular sourcing sites among recruiters, but to step up your social recruiting game, consider non-traditional platforms as well. Instagram: Use hiring-related hashtags to promote your job ads and attract potential candidates. And comment on people’s profiles when they upload work samples. Google+: Join or create Google+ communities to exchange ideas and have direct conversations with professionals from fields relevant to your open roles. Snapchat: Attract potential candidates with non-traditional job ads, using special effects and stickers. As part of your hiring process, ask candidates to send short Snap videos in addition to their application. Reddit: Post your ads on subreddits and engage in discussions with Redditors who’re interested in your company. Slack: Participate in industry-specific Slack communities to share relevant news and build relationships with potential candidates. Meetup: Browse member lists of events to find relevant candidates for your roles. YouTube: Create a channel with employee testimonials and videos that showcase your workspace. Instagram: Comment on candidates’ accounts and promote your job ads with appropriate hashtags. Snapchat: Use features like special effects and stickers to create job ads and applications that grab potential candidates’ attention. Meetup: X-ray Meetup.com to find members who attend job-related events, without actually having to attend those events. YouTube: Illustrate what working at your company looks like to build a strong employer brand and promote your openings with video job ads. Use social networks as proactive sourcing tools. Social media sourcing is an ongoing, organized effort to build candidate pipelines. Book specific time slots in your schedule, e.g. 30 minutes per week, to network with people online and start building relationships with potential future hires. Show off your company’s personality. Candidates want to know more about your company, and you can use social media to provide this kind of information. Share photos of your workplace, describe the benefits you offer and introduce your company’s employees. Create social pages that are unique to your company’s culture. Measure your results and readjust. As technology advances and new tools emerge, not all social sourcing strategies will remain successful indefinitely. Measure your results often (e.g. your source of hire for each social network) and experiment with new techniques and platforms. Companies with strong employer brands recruit faster and hire better candidates. These companies make a consistent effort to uphold their reputation on social media sites like Glassdoor, Facebook and Twitter. Promote events: Use your social pages to promote all recruitment events you host or participate in to attract more attendees. Highlight your company: Showcase what a day at your company looks like to attract and hire people who will adapt well to your company culture. Respond to reviews: Respond to every candidate review – positive or negative – on Glassdoor and other social platforms, to show you care about feedback. Scheduling tools: Automate updates for your social media pages to keep an active online presence around the clock. Software like Hootsuite and Buffer will help you schedule your posts. Analytics tools: Measure your posts’ traffic and engagement (e.g. number of clicks and shares) using social media tracking tools, like Bitly and Google Analytics. Sourcing tools: Gather information from candidates’ social media accounts, including their qualifications and professional interests. People Search aggregates and organizes information from millions of profiles to build complete candidate profiles. Applicant tracking systems: If your ATS integrates with social platforms, like LinkedIn and Facebook, you can advertise your job openings and manage candidates’ applications in one central location, without logging into each platform. Looking for recruiting software? Workable is the industry leader with recruitment features to find and hire the best candidates. Sign up for our 15-day free trial. Invest in learning how each medium works. Join Facebook groups, engage in Twitter chats and comment on Instagram. Don’t limit yourself to one network. If, for example, you’re looking to hire a designer, scrolling through Behance profiles will only get you so far. Dig deeper and search for designers who hang out in related Slack communities and share their work on Instagram or Pinterest. Social sourcing requires thorough research in one or more channels, followed by personalized outreach. This approach mightn’t be effective for positions with limited time-to-fill. So, be proactive. Interact with potential candidates who you feel would be great employees at your company. When you contact them with an open role in the future, they’re more likely to consider, or even refer someone else, if you’ve already established a relationship. Social networks host many members who could be potential candidates, but that can be overwhelming for your recruiting efforts, if you don’t know how to narrow your search. Targeted Boolean search strings will help you search for profiles that meet specific criteria. You could also use hashtags to identify people who discuss certain topics or attend industry conferences. If you’re looking through a resume database to find a developer in Boston, you’ll probably use keywords, like “Developer,” “Engineer,” “Software Engineer,” “Boston” and “Boston, MA.” But the same people may describe themselves in their social accounts as “Java enthusiasts” or “Proud geeks” who live in “Narnia” or “Everywhere.” When sourcing through social media, follow trends but also use your imagination. While your social recruiting strategy should reflect your company culture and hiring needs, use success stories from other companies to help inspire you. Dropbox and LinkedIn: Features like Apply Starters and Open Candidates help Dropbox teams reach out to passive candidates who started filling out LinkedIn applications but didn’t finished them. L’Oréal and Facebook: L’Oréal’s uses its Facebook page dedicated to careers to highlight employees, advertise upcoming Facebook Live events and respond to reviews. Nestlé and Twitter: Nestle’s USA Careers Twitter account is full of personality. Its tweets inform potential candidates about open roles. McDonald’s and Snapchat: The fast food giant is soliciting ‘Snaplications’, 10-second Snap videos, for its first-round screenings. Stalking instead of searching. There’s a fine line between stalking and sourcing and crossing it can turn candidates off. When looking through candidates’ online profiles, focus on job-related information. Even if you come across personal data, refrain from using it in your recruiting pitches. It can be illegal and invite bias and may make your candidates feel uncomfortable. Not measuring your recruiting results. When building a social media sourcing strategy, find out where your potential candidates are, how they behave online and how to best approach them. Then, you can track metrics, like numbers of sourced candidates from each network and decide whether you need more effective recruiting tactics. Spamming your followers. Conversations on social networks should resemble in-person discussions. Be courteous to candidates and respect their time. Leave genuine comments on their profiles, or express your interest with a personalized recruiting email to introduce yourself and begin building a relationship. Quitting too soon. The fruits of your social sourcing labor will take time to ripen. Don’t lose heart if you try to find qualified candidates once and fail. The more you interact with people online, the more you’ll understand how each platform works and learn the best way to attract potential candidates. Keep your social recruiting strategy well-rounded. Beyond posting jobs, use social networks to establish your employer brand and connect with potential candidates for future openings. Recruiters implement social media recruiting strategies, with the help of the entire organization. That includes current employees, hiring managers, executives and the marketing team. They’re usually the first point of contact with (potential) candidates, so they know the best way to approach them both online and offline. They’re familiar with the company’s current and future hiring needs, so they know where to source qualified candidates. They represent the company at recruitment events, so they can better promote these events on social media. Current employees. Current employees can serve as ambassadors, sharing their professional achievements and showcasing their work environment. Hiring managers. Hiring managers can proactively identify qualified people on social platforms, evaluating portfolios or work samples. Marketing department. Marketing staff can offer valuable advice on how to respond to comments and measure results of social campaigns. However, social media recruiting is an ongoing process. Recruiters should use social networks to engage candidates in the long-run by promoting company culture, informing potential candidates about recruitment events and keeping in touch with passive candidates. Screen candidates. Recruiters use social networks to review online portfolios and resumes, before deciding to call candidates for interviews. Evaluate candidate skills. Recruiters can gauge candidates’ communication abilities and creativity skills (e.g. with writing samples) based on the information candidates promote on social networks. Judge culture fit. Recruiters can use social networks to evaluate whether candidates would be a good culture fit. LinkedIn Certification: Everything you need to know about LinkedIn Recruiter and how to use its features. Plus, a certification to highlight your sourcing skills. Social Media Marketing Training for Recruiters from the Web Media University: An online course on how to make the most of your recruiting on social platforms, with a focus on Facebook, LinkedIn, Twitter, Google+ and Pinterest. Social Media Marketing For HR & Recruitment by SocialB: A comprehensive training program on sourcing, attracting and engaging candidates through social platforms. You can attend the course at a SocialB UK location or schedule an in-house training. Social Media in Employee Selection and Recruitment: Theory, Practice, and Current Challenges by Richard N. Landers and Gordon B. Schmidt: How to use social networks throughout the recruiting funnel, including do’s and don’ts and legal risks. Social Media Recruitment: How to Successfully Integrate Social Media into Recruitment Strategy by Andy Headworth: How to implement and evaluate the results of your social media recruiting efforts. Recruiting with Social Media: Social Media’s Impact on Recruitment and HR by Raj Anand: How to get started with social media recruitment, when you’re looking to incorporate fewer traditional recruiting channels. Social Recruiting Case Studies e-book by Link Humans: How five companies use social media to build successful recruiting strategies and lessons you can learn from each case study.